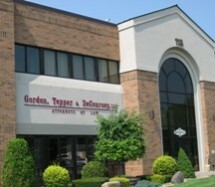 The family law and divorce attorneys of Gordon, Tepper & DeCoursey in the Capital District and Saratoga regions, are highly trained and experienced lawyers with a history of excellence. Our Law firm has been selected for inclusion in “The Best Law Firms in America,” in the family law category as published by U.S News. Several lawyers in our firm have been selected for inclusion in New York Super Lawyers as well as Best Lawyers in America. We treat our clients with respect and compassion. We take into consideration their need for confidentiality.